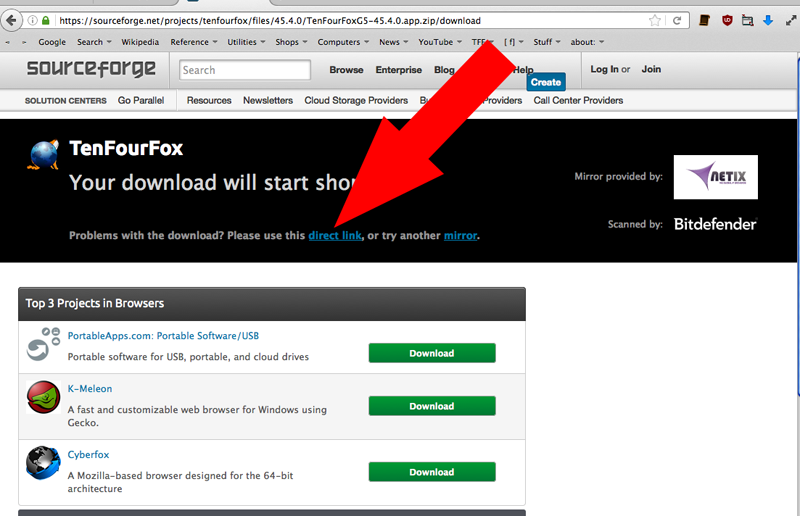 I'm desperate to try tenfourfox for G5 processors but I can't download it. It gives me an error message when I try. Can the browser application be emailed to me? Hello Jim, what's the error message? Have you tried using the direct link (see screenshot)? If nothing helps, just try again an hour later. Sourceforge is a bit moody sometimes. Sending the download by email is hardly possible since it's >50 MB in size. Well, I got to that page once (to the direct link), but now I can't get back there. It's like I'm being blocked out. I sure wish it could be emailed to me. Is it possible to try? Thanks for the help, Chris! It looks like TenFourFox is going to work like a charm! I was able to get there via Safari but not Firefox.